I’m getting questions an inquiries about reels from Studio Ocean Mark. So I want to talk about these high-class high-efficient reels. They are called Blue Heaven. 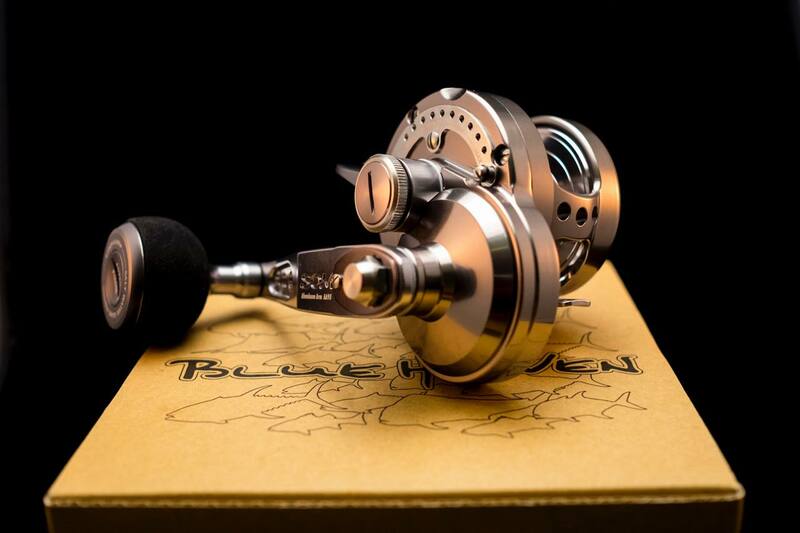 SOM remodeled Blue Heaven reels in 2014. The major improvement was the drag sensitivity, which is very crucial for slow pitch anglers who fight big fish on the light line. 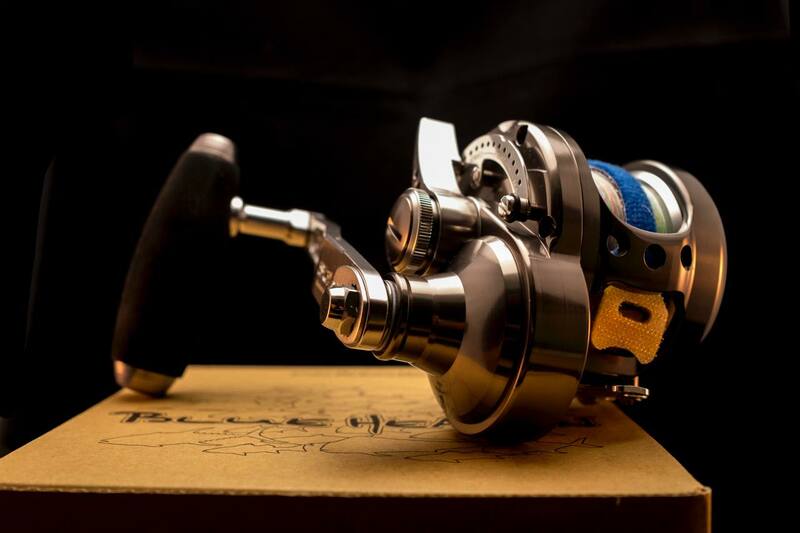 Now anglers recognize it as the best jigging reel in the market today. All the models are available for righthand and lefthand. The “Little Monster” has the solid aluminum 1-piece body that is compact enough to hold fully in your palm. The lever drag is adjustable for 0.5kg per click from FREE position to STRIKE position, 2.0kg per click from STRIKE position to MAX position. L50Hi has the power, speed, smooth drag, precision gears, durability, and everything that slow pitch anglers would expect. Specially designed L50Hi for slow pitch jigging, manufactured by the craftsmen at Ota Garage. Major improvement is the sensitivity and controllability. S2T uses more sensitive parts so that anglers will feel and gather more information about what’s going in the water. Such as 30t all carbon handle arm (while L50Hi is duralumin), brass master gear (while L50Hi is stainless), lighter shafts and rivet. S2T has the drag lever that can be adjusted by your holding hand as well while your other hand is on the handle fighting a fish. You can put a little break on the free drop by pressing down the drag lever as slow pitch jig is faster and smoother to fall when you give a little tension on the line. T-bar handle helps to make actions on slow pitch jig which we usually use heavier weight and also which has more water resistance. Since this model came out in 2014, it captured the imagination of all slow pitch anglers. But the production is limited. Every time there is supply to the market, they sell out pretty quick. If you want this reel, send me a message and I will backorder for you. Please note a lot of of times we can’t tell when you can expect it. Since the remodel in 2013, the production line has been moved back to Japan. Made in Japan quality has pushed this reel up to the top heavy jigging reel today, preferred to other reels of the same class such as Marfix N4 and Torsa 16. It’s the powerful and speedy reel for high pitch jigging, and slow pitch jigging in the deep (200m+). When high pitch jigging, we usually hold the rod in front of the reel, not on the reel. In order to give strong impacts in each cranks. When slow pitch jigging, we usually hold the reel with the palm. In order to give all kinds of rod actions in different angles. It’s a pretty compact body and easier to palm. I can’t palm Marfix, but I can palm L120Hi. I have a big hand. Still, a couple hours would be OK, but it becomes hard when I slow pitch with it longer. Because of the size and the weight. Some people may find it hard to palm. L120Hi on left, L50Hi on right. The size is pretty different, as well as the weight. For normal slow pitch jigging, L50Hi is good enough. im one of your very big big fan for slow jig. Thanks for the info of the S.O.M reel. But i myself find out that the weight ….. may be not suitable for slow jig way. 500g + 135 = 635g ……. I read your post about the suitable gear for slow jig and the most i fall in love with is the Ocear Jiger 2014 limited only 1501HG. And the weight is 405g. With my combo 405g + 135g = 540g reached my limited for few days trip. I know, some people doesnt mind 100g compare to the SOM but i myself can feel the different btw 80g-100g for a 3days jig trip. just my thinking, this reel is good but not suitable for slow jig vecause of the weight and the price. Besides, this year, there is a reel from Acurrate. It is Boss Valiant 300 with a very light weight : 280g only . but i wonder if this reel is suitable for slow jig style? May i have some suggestion from you, Totos sensei. Hi Scott. Thank you for your enthusiasm. Acurrate Boss Valiant 300… I checked. A very compact reel. Gear ratio 6.1. 29.5″ per crank. That’s 75cm… It’s a bit slow. If you are fishing in the shallow, like around 50m, and you are staying pretty much vertical without much line slack in the water, the reel might do the work. But when start using heavy jig like 200g to stay vertical? I don’t know if this reel has enough power. If you are not vertical, and if your reel doesn’t have sufficient power for the jig weight and the water resistance, it’s very tiring no matter how light the reel is. I just updated this post, if you haven’t looked. I talked about some reel weight. Thanks for your reply sensei. I also find out that Singaporian + Malaysian use this Boss v300 for light speed jig. Not like our slow jig. That is why they prefer the very light weight. This is why i said the weight over 500g is not suitable for the long game. Wish to have a trip with you to learn the slow style by mt very own eyes. I understand. I’m glad you have it cleared out for now. The overhead game is totally different than the spinning game. Scott your evaluation is exactly correct when jigging all day that extra 100+ grams make a big difference. A good jigging overhead reel needs to be around the 400 grams. I also use a OCEA JIGGER 1501 and it is so well balanced and holds ample PE 3 for most fights. For it to be my perfect reel it does however need another 2 or 3 kg of drag available. Great website and very informative. In one of your posts, it was mentioned that if someone is targeting a fish from 20 to 30kg with slow jig set-up, you recommended the SOM L50Hi S2T. What’s the thinking behind this? Also, it seems that the cork drag of this reel canb be prolematic when it is wet, do you recon it should be changed to a carbon drag? I mainly fish at depth from 50 to 100m, with strong and complex current, free drifting boat (without parachute anchor) and virtually unable to stay vertical with my jigs. I am targeting Grouper and Red Snapper. Any specific SFC jigs that you would recommend and what is the appropriate weight. I am using a slow-jerker 603-6, ocea jigger limited 1500H and 30lbs fireline. Please revert and thank you. L50Hi is easy to disassemble. It is advisable to maintain grease on the cork drag. The cork drag is very smooth and precise. I close the drag (set it at max) when the boat is moving and I’m not fishing. Arc, Abyss, Spunky and Cranky are fast to fall and easy to work in currents. With 603-6, 180g to 260g of these jigs would be good. SOM has recently come out with a blue heaven L30, which features some appealing new upgrades from L50hi. It would be appreciated if you could include this new little monster in your testing review. Thanks in advance! 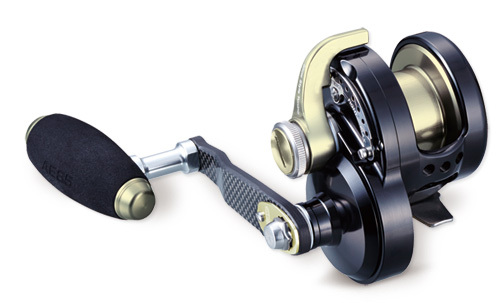 Yes, L30Hi is an improved reel, totally a game changer. It’s so little yet so powerful. I have descriptions on my facebook page. Now SOM is working to upgrade L50Hi with the same technology. I need to take your advise. 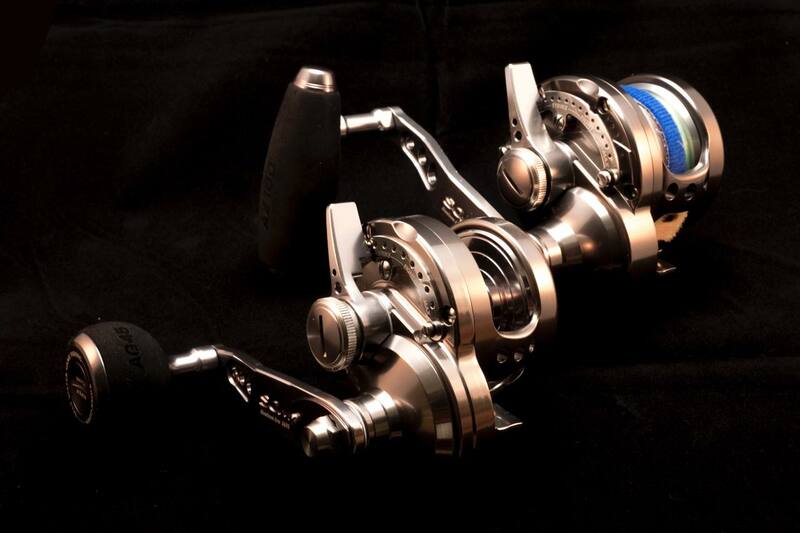 I choose reels not for the rod, but for the depth, the line, the jig weight, and what action tone. So, sometimes I change my tactics and I even switch reels between rods on the boat. L30Hi can be used on either rods. It’s a compact reel with all the adequate properties for slow pitch jigging. Mainly designed for deep slow pitch (200m+) with ‘light line’ and ‘heavy jig’ in ‘soft action tone’ and for ‘small delicious targets’. Careful of this reel I have just overhauled mine after only 6 months they are very susceptible to water ingress, the engineering is poor and there are no documents written in English that can be used as point of reference when overhauling. The bearing in position 26 of the Japanese schematic is almost impossible to buy. Screws used in assembly are cheap and easily damaged when removing. Incredibly over rated reel. Additionally after a few uses it has become the noisiest reel I own, and I have many from major manufacturers. .
L30 is it good for bottom fishing? Bottom fishing? You mean, drop the bait rig with a heavy sinker to the bottom and wait for the fish to bite? Any reels can do it, right? You don’t need the sophisticated speed and power of L30Hi. And of course it can do it. But if you are doing with something like a 300g sinker, you should consider other reels with more power. I am looking for a SOM blue heaven L50 for slow pitch jigging. Which between L50Hi and L50Pw is the best for that fishing technique ? Where and how I could buy one of them ? OK. It will all depend on your fishing conditions. I will help you, but it will be too personal. Send me a message from contact form. And please specify your fishing conditions in details. Don’t worry about it, John. It’s still one of the best slow pitch jigging reels in the market. I’ve never heard any bad reputations from users. I heard SOM makes essential parts like drag and gear cams in Japan, and they make the body and assemble the reel in Korea. And the whole SOM production team travels to Korea every time to final check up on each reels individually. I would load 600m yes. Sometimes I need to let the fish run the line out to catch it. Secondly, it’s cheaper per meter if I buy a long line. When the line is getting worn, I just reverse and reload to use the same line. Thank you for your previous replies to my previous questions. I am currently looking for a second reel, I already have a trinidad tn16na loaded with p.e2 line. I want to buy another one for bigger game and deeper water. I am choosing between OJ2000NRHG, SOM L30hi and SOM L50hi. I’m planning to use pe3 line on it, i will fish between 100m and 200m depth, which one would you reccomend? I am a bit confused as there is not much price difference between the L30 and L50. In terms of capacity, I think both would suit my game. I think the L30 is a newer model but I prefer the L50 in terms of size. Have u tried both these reels? Any feedback and advice would be most welcome, cheers! L30Hi is a good reel. But L50Hi is much more powerful. Not just the jig weight, the water resistance is substantial in the deep. L30Hi is used by many slow pitch anglers in the deep jigging for delicious blackthroat seaperch. But this is based on the spankered boat which enables you to stay vertical. But L50Hi is much better safer choice to adjust to different conditions. Do you know where we can get spare parts for SOM reels (like bearings and stuff)? I can get it for you. Send me an email and we’ll work it out. Thanks for a lot of information sharing in this website. I have just bought SOM L50hi for slow pitch jigging and I have some question about it. First I would like to get spare spool of L50, the model that made in Korea, Do you know where can I get it? And second do you have any recommend brand of PE3.0 600m to fit with this reel? I can get the spare spool for you. The best line is EX8, I think. Fireline Colored is cheaper, and will be the second choice. I have booked my overseas boat trip for slow pitch jigging. The depth is 200+ meters. I am using 300 to 600 grams jigs. What would be a better reel for such depth ? …The SOM L120Hi or the Marfix N4 ? …I am looking at loading PE3 Color metered line. For PE3.0, yes, you need that class. Either one is good. If you use L50Hi with PE2.0, the action will be much easier. Talking about maintenance of CORK Drag on SOM reels…. I am wondering what is suitable grease for Cork Drag on SOM reel. As I am avid fly fisherman, I have Abel reels that use cork drag. It is recommended to use Neatsfoot oil (a natural oil) on cork material. However when I purchase my SOM reel, I was told that the grease is specially made by SOM and it is not sold (I don’t seem to find them anywhere). Should I go for Neatsfoot oil, Graphite Grease or Teflon Grease on the cork material ? It seems different manufacturers recommend different grease even though their drag material is still the same, ie Cork. I know too little about that to make any suggestion on that. SOM recommends SD02S for BHL50Hi, which is 100% Teflon soft grease that is water-resistant and heat-resistant. SOM recommends SD02SS for BHL50Hi S2T, which is Ulea base with aluminum addition that is a little less heat-resistant than SD02S but stays low viscosity in salt water environment. That’s what they say, and I know no way around it. Am also wondering what type of grease/ oil for the L120? I understand there are 2 versions of this reel, one for Narrow Spool and the other is Normal Spool. 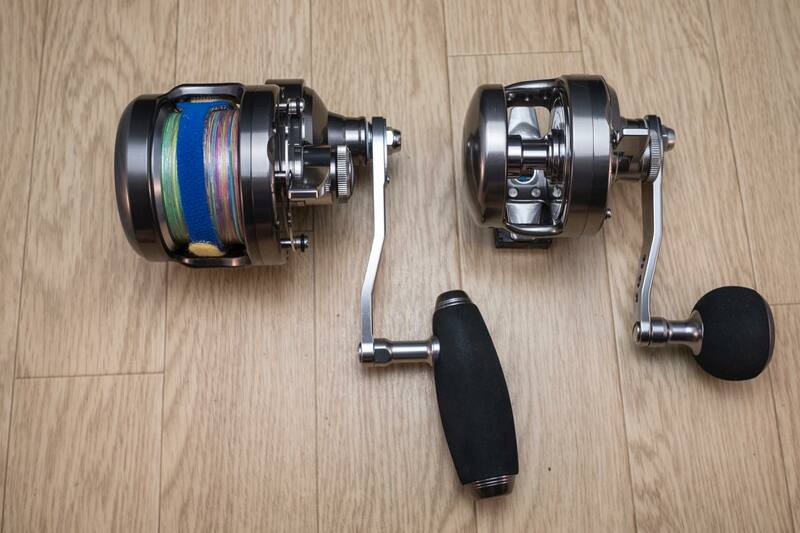 For Slow pitch jigging, which one is more suitable? Is PE4 600 meters of line Ok for Slow Pitch ? Is PE4 too heavy for slow pitch jigging? Finally, compared with SOM L60Hi, what is the advantage of L120N besides the drag is 3kg more (13 kg on the L120N vs 10kg on the L60).